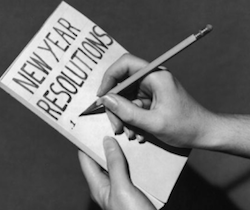 The 15 Best Financial Resolutions for 2015! It’s a New Year, which means it’s time for some self-improvement! Nearly half of all Americans make New Year’s resolutions and it’s no surprise that many of those are money related. Being in good financial health is especially important when it comes to owning a home. Whether you are a soon to be first time home buyer or seasoned investor, it’s always good to make sure your finances are on the right track at least once a year. We saw this great article on WalletHub.com and wanted to share it with you! So if you want to improve your money management skills this year, here are the 15 Best Financial Resolutions for 2015. The first step of tackling your money goals is to get the lay of the land. You should check the status of all your accounts, take stock of your assets and debts and determine your monthly cash flow. Your financial needs change from year to year and so does the market. There may be opportunities and rates that may be beneficial. Only 39% of adults have a budget. Making and sticking to a budget is the best way to clean up your finances and avoid debt. Start by collecting your bills from the past few months and looking at your recurring expenses. Then order your expenses by priority such as housing, food and healthcare. After that, just make sure that your monthly spending and saving line up with your take home pay. 3. Use the “Island Approach”. The “Island Approach” is a financial technique based on the idea of isolating certain needs on different accounts – as if they’re islands. For example, one credit card might be for everyday purchases which you pay in full each month and another card might be for revolving debt. Missing due dates is one of the easiest mistakes to make with your finances, because they can negatively effect your credit score. The best way to avoid this is to simply automate as much as you can. Set up automatic payments from a checking account for recurring bills such as credit cards or cable. Always remember to check your monthly statements to make sure nothing is being overcharged and to avoid missing any fraudulent charges. About half of American’s do not have an emergency fund. This obviously puts them at risk in the event of job loss or other unplanned expenses. Building up a fund just for this purpose is a very important step in financial health because an emergency can end up derailing the rest of your goals if you don’t have one. Ideally, you should have enough funds to cover your expenses for 6-12 months, but this won’t happen overnight. You can build this over time. 6. Get out of debt. Some of the steps we just mentioned like budgeting, automating and using the “Island Approach” will help in avoiding debt in the future, but if you already have debt, it’s important to get a handle on that now. Pay down your highest interest balances first, so you don’t have to continue spending more money on finance charges. This will allow you to spend the least amount of money and time on paying what you owe. 7. Work on your credit score. Improving your credit score may involve spending a little money upfront, but the savings can be pretty big. Your credit score impacts your insurance premiums, as well as your ability to buy a car or rent a home. It can even impact the type of job you get! And, of course, the type of loans you’re eligible for. The best way to improve it is to open a credit card account and keep it in good standing. This doesn’t mean you have to get into debt. If you maintain it, the positive credit information will be reported each month. Saving for retirement is hard. People usually prioritize short term desires over long term needs, which means 1 in 5 of us will retire with no money saved. And of course they are plenty of other things we have to save for including college, weddings or buying a home. That’s why it’s important to set up different accounts for each savings need and set up automatic payments into each account. If you’re already saving, great! Let’s see if we can save even more! Giving back helps our self-esteem and helps in terms of tax liability. So let’s make it a 2015 resolution to give more donations – with an emphasis on money and not time. This is because working an extra hour and donating the proceeds is often more helpful than volunteering an hour of time. 10. Do your taxes early! Don’t be one of the 28% of Americans who wait to file their taxes until April! This can lead to more mistakes or filing late, which means big penalties. And you can end up missing on a larger refund. Taking your time to get it right is the best way to make sure you aren’t underpaying or overpaying. And the best way to teach them is by example. Your children are probably learning lessons from your spending habits, which will impact their own relationship with money. You can also give them hands on experience while they’re young like teaching them to save small amounts of money. This will teach them the value of money and how to spend responsibly. 12. Protect yourself from fraud. You probably all heard about cybercrime and hacking in 2014. You can do your best to protect your credit card information by shredding certain documents or putting a lock on your mailbox. Checking your credit report every few months so you don’t miss fraudulent charges is important too. There is a clear connection between physical, emotional and financial health. When the first two are being taken care of, it’s much easier to handle the last part. Health care costs are the number 1 cause of bankruptcy in the U.S. and are an expense for everyone. Money is also one of the biggest causes of stress. When you’re healthy, you feel better and when you feel better, you make wiser financial decisions. This means each of these areas impacts the other, so it’s important to take care of yourself and keep your health-care costs low. This is a feel-good resolution! You can easily help other consumers by sharing your experiences with certain companies and professionals. Reviews can help everyone avoid the bad deals. And remember, when you’re looking for a financial product, do your own research and see what others are saying about their experience. 15. Prepare for worst-case scenarios. Sometimes it’s hard to imagine the worst-case scenario, which makes it even harder to prepare for. But the best money management is all about being prepared so it’s important to make sure everything is stable. For example, it’s helpful to run the numbers and see if your finances can handle a job loss, accident or illness. This is not a fun exercise but will help you understand if you have enough savings or insurance coverage. We hope these tips were helpful in understanding and improving your money management and hope that everyone has a financially healthy 2015! 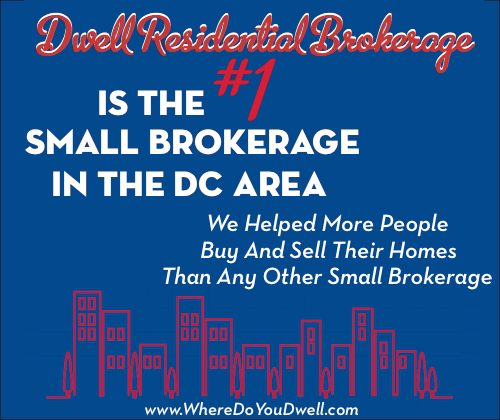 For more information on the specific steps to take before purchasing a home, contact us today! This article originally appeared on wallethub.com.